Ever wondered how much business you’ve lost on your Webstore over the years? Rental businesses are used to peaks and lulls, but can often find themselves unable to meet surges in rental demand. 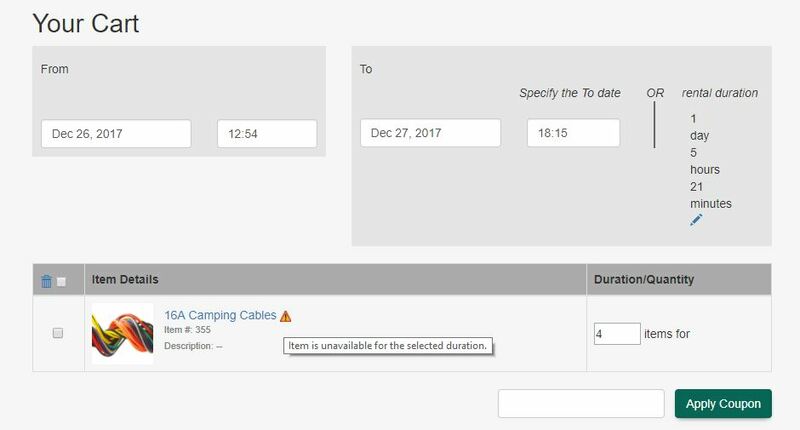 With our new Lost Business Report, you’ll be able to see which out-of-stock items were ordered by customers, allowing you to prepare for future demand more effectively. What Counts as Lost Business? In EZRentOut, Lost Business refers to any attempts to rent or buy quantities of items that are unavailable or out of stock on your Webstore. It is also important to note that the report only counts the attempts of customers that are signed in, and does not include guests. Say you, as a signed-in customer, try to add 10 backpacks to your cart, even though there are only 7 available. Below, we’ll learn how to generate reports like these using EZRentOut. To start off, go to Settings → Store Settings → Track Lost Business, and enable this option. Please note: For this to work, go to Settings → Store Settings → Order Settings → Enforce Conflict-Free Booking of Orders, and enable this option. This is because if conflicted orders can be booked, no business will be lost. It is only when orders are conflict-free that you can ‘run out’ of a particular item. To access the report, enable the ‘Track Lost Business’ setting mentioned above, and go to More → Reports → Order Reports → Lost Business. 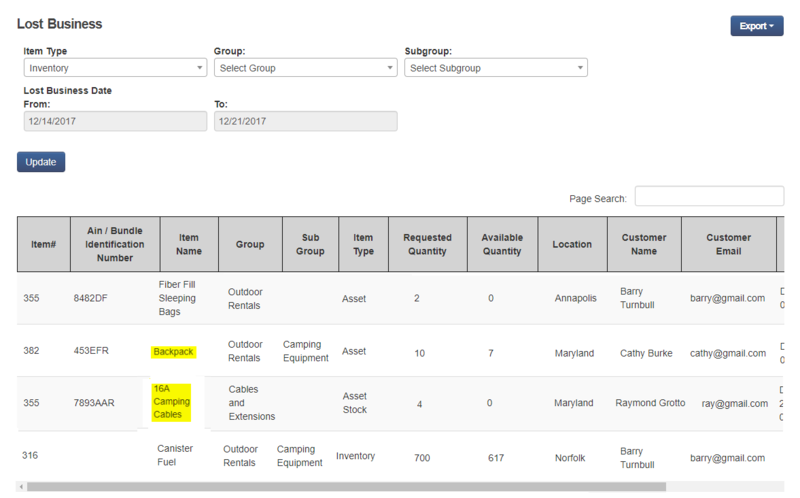 Item Type: You can choose whether you want to run the report for Assets, Asset Stock, Inventory, Bundles. or All Asset Types. Group: Choose the group you’d like to view Lost Business for. Of course, you can only choose a Group if you’ve chosen Assets, Asset Stock, or Inventory in Item Type. Subgroup: This lets you pick a specific Subgroup. You can either leave the Group field blank, or select a Group that contains the Subgroup you want to run a report for. Lost Business Date: This is where you can set the duration within which your company lost business. This can be adjusted for any past period. And that’s all you need to know about the Lost Business Report. So run those numbers and make sure you never miss out on a rental opportunity! EZRentOut is the leading rental software used by rental businesses all over the world. They can track items, receive online payments, and manage rental orders – all from one space!